Small tapestry-woven objects for domestic use, such as this pin cushion, must have been quite common in the 17th century, in both great and more modest houses. Many would have been made in all-wool tapestry which, like canvaswork, was hard wearing. Few were precious enough to be passed from generation to generation. 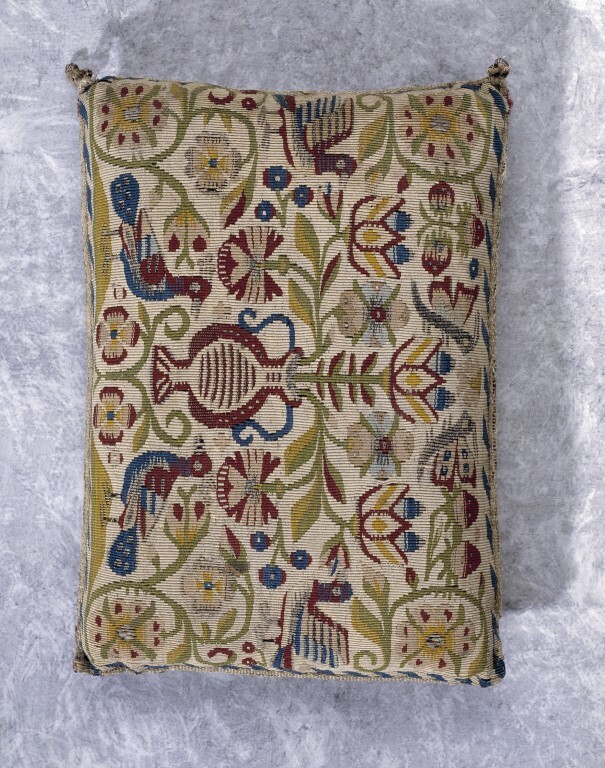 This pin cushion, however, is made of more valuable materials, silk and metal thread, and has been preserved with care. 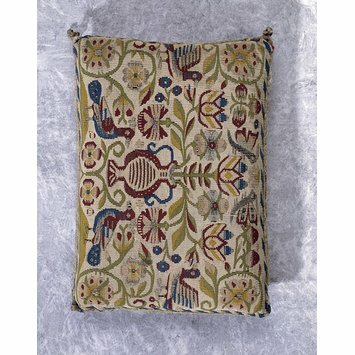 In the 17th century shops in London provided a direct retail outlet to the customer and small objects, including tapestry-woven items, could be bought in this way. Prior to this, it had been the custom to buy directly from the maker or workshop, or from a travelling merchant who took the manufactured wares to the customer or set up a stall at a fair. The existence of shops made available a wider range of 'consumer' goods, albeit to a relatively small percentage of the population.